Whilst plotting my visit to Wellington this weekend, I naturally had to place Ti Kouka Cafe high up on the list (sadly they’ll be closed for the public holiday weekend, so I only have a short window to get my visit in). Situated upstairs on 76 Willis St, Ti Kouka now occupies the space once taken by my much loved and much missed favorite Katipo Cafe, once the local for Tom and I during #geekflat and Amberdms startup days. After Katipo suddenly closed, it underwent a bit of refurbishment and an entirely new cafe emerged – Ti Kouka. Rather than focusing on the counter-culture feel and cheerful hearty feeds that Katipo had, Ti Kouka is an entirely new venture with an entirely different approach, focusing on top quality food, presentation and dining experience. With one of the founders and main chef being ex-Logan Brown, the food is excellent and tends to be a little more varied than the usual fare found in most cafes. I’ve had the opportunity to enjoy both their breakfast and lunch menu. Whilst the vegetarian selection for lunch isn’t huge, there are a few good options – a couple more would be a nice touch. 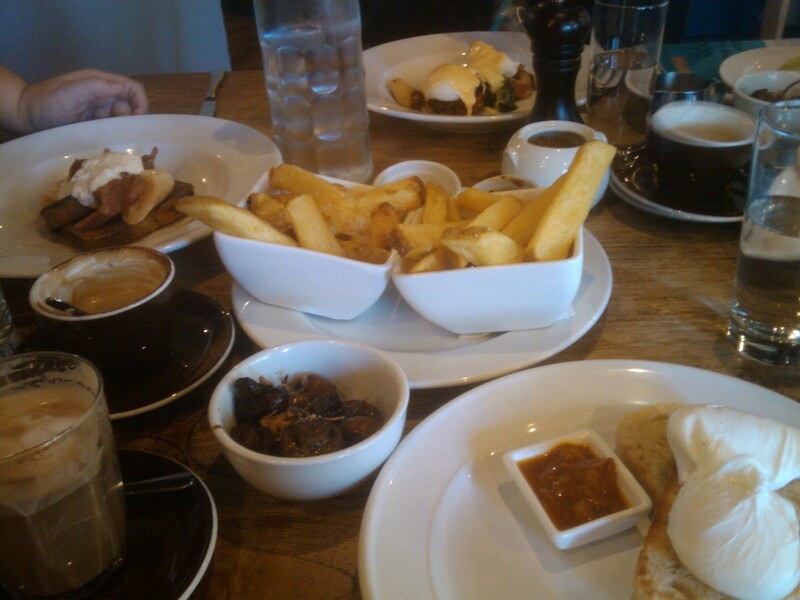 Ti Kouka don’t do the stereotypical huge breakfast with everything on the plate, rather choose a base meal and select a few delicious sides to go with it, or mix things up and go with a couple smaller options. Breakfast, with a delicious pile of their famous chips. Also a bowl of their excellent mushrooms. Ti Kouka is also where I’ve had the best pancakes/hotcakes of my life – rather than cream, it’s been served with ricotta cheese and buttery maple syrup, which must be real maple, since it tastes far more amazing than any I’ve had before. Even dedicated pancake parlors don’t come close to this….I normally tend to go for savory meals as the cafe breakfast option due to many pancakes being served a bit too dry & plain, but this is certainly not the case at Ti Kouka and well worth trying. 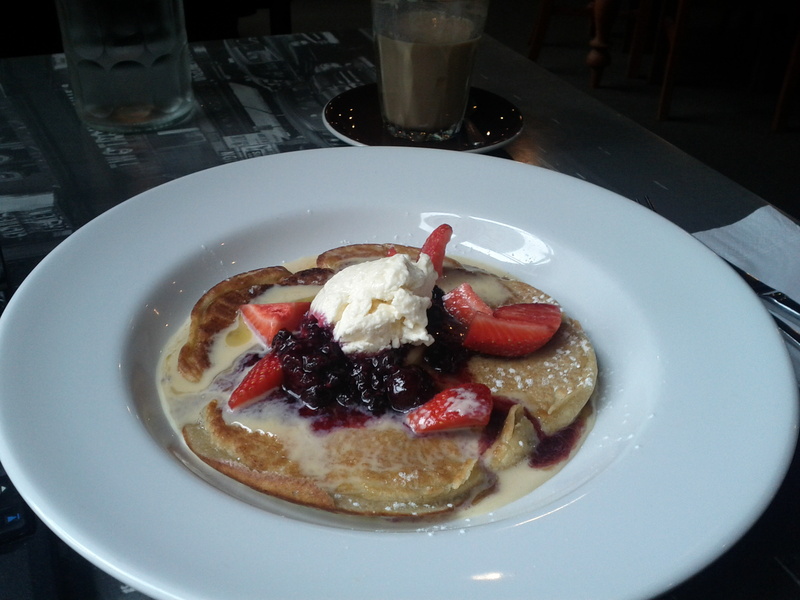 This is the most delicious pancake I've ever had. Ever. If you end up at Ti Kouka for dinner or drinks, it is highly recommend to try a side of their chips, which are nothing short of the most amazing potato based creation known to mankind thanks to a triple-frying process. 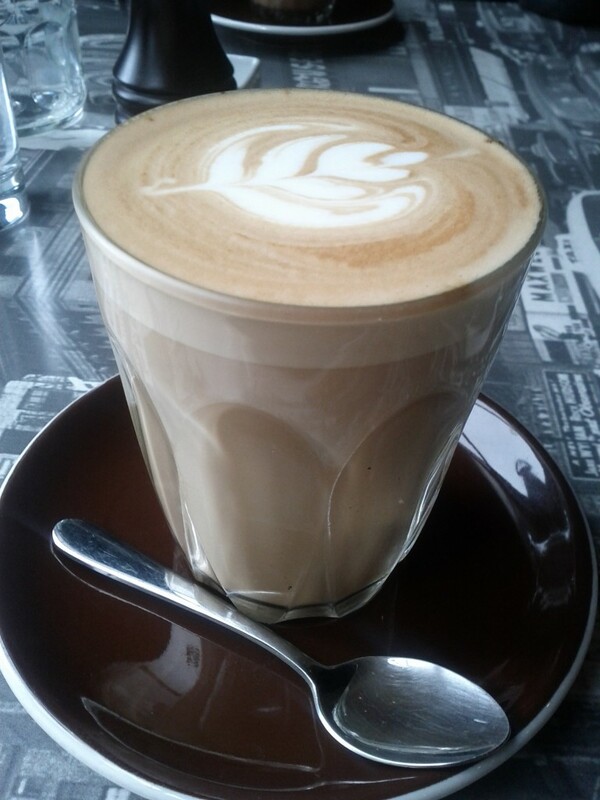 The coffee is pretty excellent too, I’ve never had a bad coffee there – even managed to order a soy latte without the nasty burnt rubbery taste that too many cafes fail with when making it. Whilst the meals never appear huge, they are always very well executed with excellent flavor, well thought combinations, consistently good standards and I’ve always been pleased and full at the end of my meal, without leaving tonnes on the plate like I end up having to do at some establishments. Sadly this menu item has changed a bit, but still good. Ti Kouka has quickly established itself as one of my favorite places, although it does tend to be somewhere I go when I specifically want a delicious meal and relaxed dining experience, if I’m craving a big breakfast after a late night and in a hurry, better off looking at other options like Expressoholic- you want to take the time to enjoy the Ti Kouka experience. I’ve found that it’s an ideal location for dates, business meetings or an evening with friends for tapas and drinks (Thr-Fri only), the venue is spacious, quiet and has various table options including being able to look down onto Willis St, or one of the more private booths ideal for secluded dates. Take a look at some of the other reviews on Gusty Gourmet, Foodie Gems of Wellie, and (as much as it pains me to link to them) Fairfax/Stuff, they all proclaim the excellence of the food and there’s a few pictures of some of their nifty meal offerings. 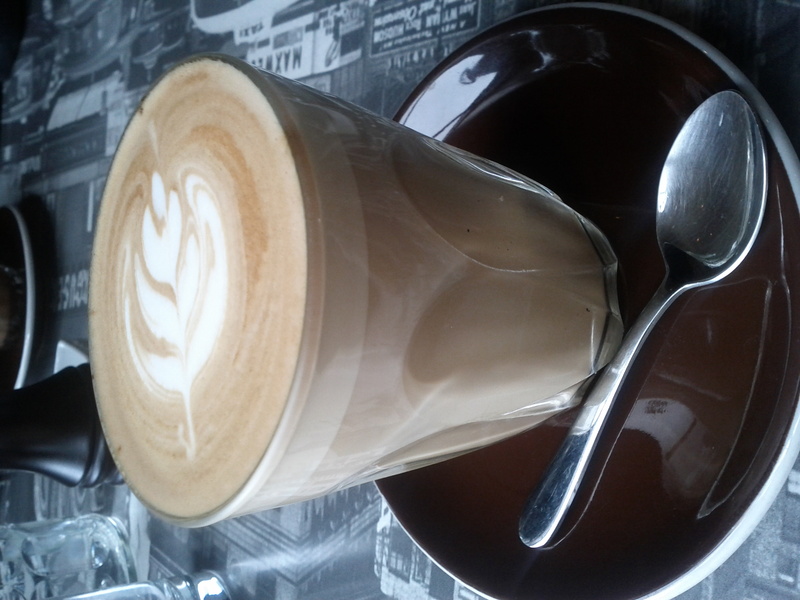 This entry was posted in Uncategorized and tagged cafe, coffee, food, katipo, opinions, ti kouka, wellington, willis st. Bookmark the permalink. Yep another of my all-time current favs in Wellington. Classy, different and well presented. Did you know Jessie (co-owner) is ex-Fuel, so they have both food and coffee covered. 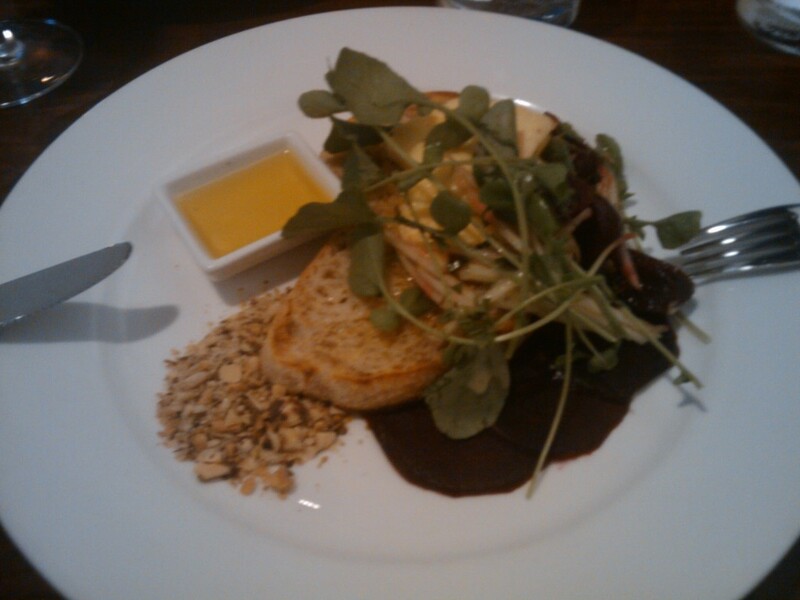 Foodiegemsofwellie…. Yeah, they do some great coffee. There’s a muffin & coffee breakfast special but I haven’t tried it yet.